Positive: Powerful hardware; attractive design; high gaming performance. 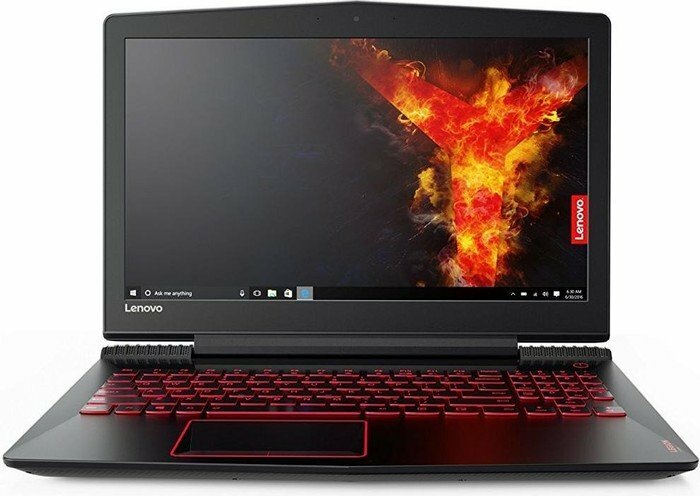 Series: Back with a new brand for gaming laptop series named “Legion”, according to page WindowsCentral, the manufacturer Lenovo considered the Legion Y520 the entry-level tier with the extremely reasonable price ranges. 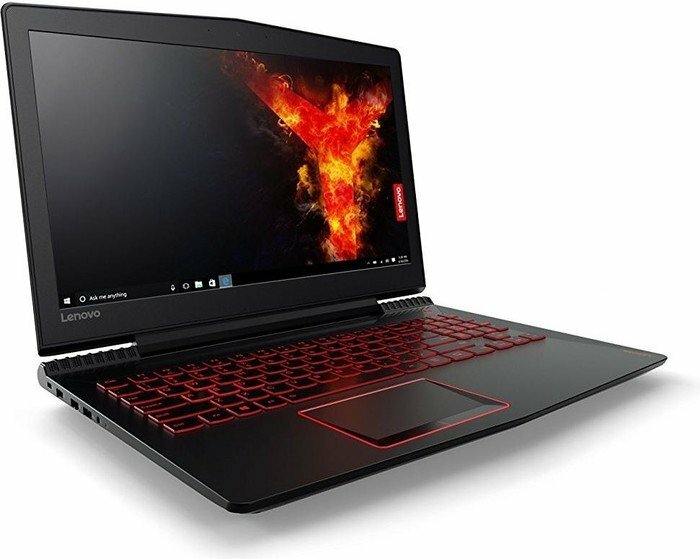 Generally at first glance, “Budget laptops don’t have to mean huge performance sacrifices, as demonstrated by the new Lenovo Legion Y520. This PC combines impressive value with a smooth design” (quoted from WindowsCentral). Received a lot of positive feedback from most review pages with its sleek design , this is the groundbreaking series mainly aiming to gaming purpose by strong performance (from the lowest version with the Intel Core i5-7300HQ processor to the Intel Core i7-7700HQ processor, and featuring with the NVIDIA GTX 1050 Ti GPU). Let’s find out what are the pros and cons of this laptop specifically. The first comment of WindowsCentral about the Legion Y520’s design is that the Legion Y520 had a very conservative and mature look, with a touch of pizzazz, “With a plastic faux-Kevlar lid all in black, the Legion 520 lacks the tacky flair that so dominates the gaming PC World”. With the same viewpoint, the reviewer of page LaptopMag said that the lid was black plastic with a woven pattern and a few lines that make it look aggressive but still approachable. “A series of grates on the back wrap around to the bottom of the computer and frame two sets of vents, which makes them seem more like an intentional decoration than a technical necessity”, added LaptopMag. 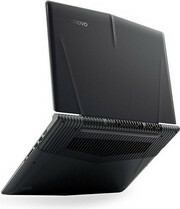 However, for page ComputerShopper, they thought the design, overall, looked the part of a gaming notebook, especially the angled top of the lid and front of the chassis. On another side, page LaptopMedia were surprised by the rigidity of the plastic, “The lid bends ever so slightly under great force and doesn’t hold any grudge to the aluminum build from before. Moreover, the surface imitates carbon fiber making it grippy and we can even go “premium” here while fingerprints are easier to clean as visible”. And the bottom, as a remark of WindowsCentral, is also quite clean with symmetrical intake vents and angular cut. In addition, build quality is solid with no creaking or loose parts. Lastly, commented by LaptopMag, the Legion is nice and portable at 31.8 x 26.42 x 2.54 cm (15 x 10.4 x 1 inches) and 2.54 kg (5.6 pounds). Talking about the display, WindowsCentral gave their evaluation that the 15.6” Full HD (1920 x 1080) display on the Legion Y520 is quite good, “The screen is anti-glare, which is preferable to gloss for gaming, even though you tend to experience some color loss”. Regarding the LaptopMag, on top of that, the display suffers from dull colors, When the reviewer watched a full-HD trailer for Guardians of the Galaxy Vol 2, Gamora’s green skin was pale and insipid, as if she had just seen a ghost. Furthermore, page ComputerShopper showed a remark regretfully that the only bone they can truly pick with the Legion Y520’s display is its lack of Nvidia G-Sync support, “This would have been an excellent feature to have in a system with GTX 1050 Ti, as that graphics chip is generally unable to maintain 60 frames per second in the latest titles without significantly lowering the settings”. As reviewed on page LaptopMedia, the display of the Legion Y520 is able to cover just 52% of the sRGB color gamut, which is unsatisfactory for an IPS display. However, with all the newly released budget gaming laptops with GTX 1050 and 1050 Ti, only the Legion Y520 - for now, of course - offers a crisp image thanks to IPS panel. Similarly, WindowsCentral complained that the brightness is below expectations in spite of coming in well below 300 nits, “On a naturally-lit afternoon in doors, I found it comfortable to use with the display at nearly 100 percent brightness, which is a bit unusual” while LaptopMag stated clearly that any setting less than maximum brightness makes it nearly impossible to see what’s on the screen. Firstly, about keyboard, WindowsCentral supposed that Lenovo was well-known for its laptop keyboards and, like HP, it is becoming much more consistent across product lines, “As someone who writes for a living, I thoroughly liked working on the Legion Y520”. Also, “There’s nothing like a good Lenovo keyboard, and the Y520’s is a pleasure to type on” (LaptopMag). It is similar to the great set of keys which we will find on the company’s consumer products, like the Yoga 710. This page also added that with 1.8 millimeters of vertical travel and 77 grams of force required to press the keys, the keyboard is super-comfortable. Besides, the layout of the main keyboard is normal, but the number-pad layout is downright strange. Following a comment on page ComputerShopper, it looks like, in order to accommodate full-size arrow keys, Lenovo pushed all the number-pad keys row up, “We aren’t sure why Lenovo chose this layout, as even for gaming, it doesn’t seem to have any obvious advantage over a traditional number-pad layout, other than the full-size arrow keys”. 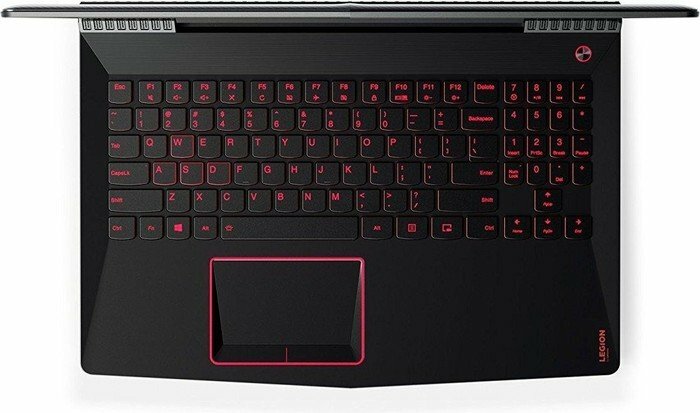 On the contrary, with a positive review from LaptopMedia, this is a gaming laptop, after all, so the current layout will suit most gamers, “It’s better like this than the other way around. And one more thing - Lenovo finally includes the media control buttons”. Secondly, about the Legion Y520’s touchpad, WindowsCentral thought that trackpads are often still weak spots on laptops but less so in 2017, “ The Legion Y520 does not use Microsoft Precision, but it does feature Synaptics, which is the next best choice”. The touchpad of Lenovo Legion Y520 is awkward anyway. LaptopMag left a complaint that it was an upside-down trapezoid with pieces of plastic filling in what would have been the rest of the usual square shape. So this was the classic case of form over function, and it was a real pain to use. Moreover, as evaluation of ComputerShopper, the glossy plastic edges may look attractive in our photos, but in reality they proved to be fingerprint and dust magnets. Remarked upon the Legion Y520’s touchpad on page LaptopMedia, the touchpad received a total revamp, which is more than a welcome change. Personally, they said, “We never liked those wobbly touchpad surfaces and we considered them as one of the main drawbacks of the previous two versions”. Notwithstanding, “Synaptics gives user numerous settings for palm injection, and all the Windows 10 gestures for three and four fingers work, as well” (WindowsCentral’s statement). Talking about the sound of the Legion Y520, LaptopMag showed the perspective that we couldn’t get all the detail with our music even though the speakers next to the Legion’s hinge are just loud enough. Specifically, this notebook comes with the Dolby Audio app and a few sound profiles to choose from, but that reviewer found that leaving it on the default Music setting offered the best results. In addition to that, audio options are also available in Lenovo’s Nerve center. Yet, as a positive reaction from WindowsCentral, the speakers rise and directly face the user, “It is one of the best designs I’ve seen for laptop audio. It certainly beats putting the speakers on the bottom, and while top-firing ones on the keyboard deck are nice, having them angled to fire at your face is even better”. On the other hand, “The system struggles a bit to produce low notes, though. The maximum loudness could also use a boost, but it’s plenty for gaming or watching a movie by yourself”, stated ComputerShopper. Powered by the 7th-generation “Kaby Lake” Intel Core i7-7700HQ processor with 16GB of 2400MHz DDR4 RAM and combined with the new NVIDIA GTX 1050 Ti discrete graphics card, the Legion Y520 is pretty powerful as a comment on page WindowsCentral. Also from this page for the synthetic benchmarks, “The Legion Y520 is right where it should be compared to higher-end machines. It’s certainly better than any Ultrabook”. As the tests of LaptopMag for an entry level graphics card, the reviewer played on Mass Effect, Andromeda’s multiplayer mode, fending off holders of Remnant robots with his teammates on High setting at 1080p, and the game stayed between 38 and 50 frames per second. And “Lenovo’s laptop rendered Hitman (1080p, Ultra settings) at a smooth 60 fps” (LaptopMag). According to ComputerShopper, this laptop achieved 64.5 fps (1080p, Ultimate settings) on Tomb Raider, 53 fps (1080p, Extreme settings) on Sleeping Dogs, 38 fps (1080p, Ultra settings) on Far Cry Primal, 43.4 fps (1080p, Very High settings) on Rise of the Tomb Raider. Page GulfNews expressed their argument that the Y520 had also done well with unoptimised software, such as famously heavy resource hog PlayerUnknown’s Battlegrounds, “I could run this Steam Early Access title with quite smoothly with most graphical settings pushed towards the higher end”. Positively, LaptopMag’s reviewer had 40 tabs opened in two instances of Google Chrome, including one streaming a 1080p episode of “The Daily Show with Trevor Noah” and didn’t see any hint of lag when scrolling or switching tabs. For emission problems, the reviewer of WindowsCentral left a remark that he was pleased to report that wasn’t the case with the Legion Y520, When left on its own during gaming, those two front-firing speakers and a relatively quiet work well, together. “The fans are audible, but not distracting so. During non-gaming, the fans rarely come on. It’s a pleasant change from typical gaming laptop”, that page said. As the good news from LaptopMedia, “Interior’s surface temperatures were pretty low compared to last year’s IdeaPad Y700. The main reason for this is the moved heat dispersing grills at the back allowing a better airflow. Nevertheless, we can’t say it will cause any discomfort during gaming”. As a result of LaptopMag’s tests, the Legion Y520 was still comfortable after the reviewer played Mass Effect, Andromeda, measuring 77 Fahrenheit degrees for touchpad. The keyboard and bottom of the system measured 87 Fahrenheit degrees. They considered anything under 95 degrees to be comfortable. “To be fair, Lenovo states on its site that battery life is rated at just four hours. For once, there is truth in advertising, but 4 hours is on the high-end if you are using Y520 for light productivity at 30 percent screen brightness. For gaming, battery life is cut to about 90 minutes” (quoted from WindowsCentral). In the same point of view, LaptopMag supposed that the Legion Y520 might be portable, but we will need to bring a charger with us since it endured for just 3 hours and 39 minutes only on LaptopMag Battery Test, which browses the web continuously over Wi-Fi. 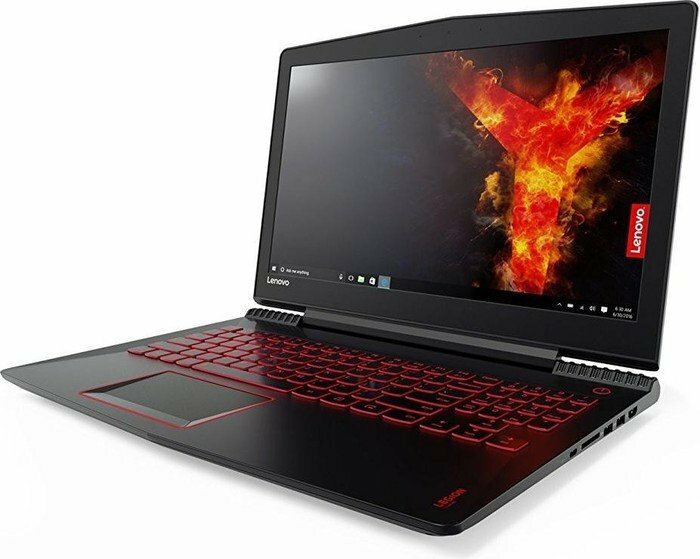 In summary, “The Lenovo Legion Y520 is meant for a broader consumer audience that wants to get into gaming but is not quite ready to jump into the deep end. Its design is also intended to appeal to non-gamers who are looking for something less flashy”, said WindowsCentral. This laptop generally is considered a great laptop with sleek design, comfortable keyboard, great value and mature and subtle design with just a hint of flare, in my opinion, although there are some flaws existing inside. For example, the dull display could make user feel a little annoyed, the battery is not long, or trackpad is odd and not ideal for gaming. Regardless of those flaws, LaptopMag gave a good verdict for this notebook, “If you can look past the screen, though, the Legion Y520 is a solid choice that will serve you well when you’re gaming and while you’re at work”.